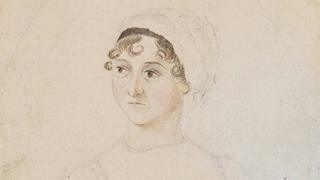 An exhibition marking the 200th anniversary of Jane Austen's death will feature writings from her teenage years and the original ending she wrote for her novel Persuasion. About 80 items, including artwork, letters and clothing from collections around the world will go on display in Winchester in the summer. Exhibits will include the author's silk pelisse coat, her purse and sewing box. A portrait, not been seen in public for more than 40 years, is also included. It is one of five to be brought together for the show. The exhibition takes place at The Gallery in Winchester Discovery Centre - a few miles from Austen's birthplace of Steventon - from 13 May to 24 July. Co-curator Louise West said: "The bringing together for the first time of five portraits of Jane Austen will, we hope, provoke reaction and excite argument about the mysterious Miss Austen. "This is a new way of exploring Austen's identity and we are thrilled to be sharing this opportunity with the public."